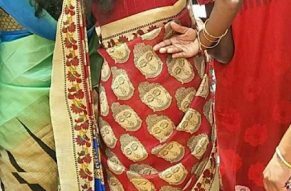 Jaffna News: A junior lawyer who was wearing sud screamed in the Buddha's portrait made a felicitious incident that was attempted to arrest Jaffna police. A young lawyer came to the courthouse today to appear in the Jaffna District Court. In his sack, the portrait of Buddha was inscribed. The court police reported that it was announced to the Jaffna police headquarters. Today, a young police attorney who was present at the Jaffna Police Station tried to arrest the teenager attorney. This caused a thrilling atmosphere at the court complex. The lawyers immediately intervened in the incident. The lawyers of the Lawyers Association intervened and argued with the police that he could not arrest him. However, the police stared at him to take the police station. He has now gone to the Jaffna police station with the lawyers.